The end of the financial year is coming! Employees vs contractors: do you know the difference? Supporting your small business: what’s new? The end of the financial year is coming and it’s time to start thinking about your 2016 Income Tax Return. Now is a good time to start reviewing certain assets and liabilities owned by your business and consider if there is anything you should do prior to 30 June 2016 rolling around. Is there any income you are due to derive that you may not have to recognise until next financial year? Are there any repairs and maintenance you should carry out prior to 30 June 2016 so you can claim the deduction in your 2016 return? Are there any bad debts to write off out of your receivables? Are there any recently announced measures in the May 2016-17 Federal Budget you should talk to your tax adviser about? If you have an outstanding investment loan, see if you can prepay some of the interest prior to 30 June 2016 (you will need to speak to your lender). Are there purchases or disposals of assets you should make prior to the next financial year starting? Review your depreciable assets (capital allowances) register and write off or dispose of any assets no longer used eg assets used in your business such as computer equipment, office furniture (eg desks and chairs) and kitchen appliances. It is also a good time to review things that you think about at the time you put them in place but don’t otherwise turn your mind to – eg, do you have the right mix of debt and equity funding for your business to carry you through to the next financial year. Your tax adviser is the best person to help you with these decisions. As your tax adviser knows your business and has experience with other businesses similar to yours, they are able to offer you sound advice about how to best prepare your business for the start of the 2016-17 financial year. immediate deductibility of professional expenses. However, only small businesses with a turnover of less than $2 million or that satisfy the maximum net asset value test will be able to access the existing small business capital gains tax (CGT) concessions. In addition, from 1 July 2017, all small businesses with a turnover of less than $10 million will be able to access a simpler approach to preparing a Business Activity Statement (BAS) by being able to more easily classify transactions and prepare and lodge a BAS. A trial of the new simplified BAS reporting requirements will start on 1 July 2016. The unincorporated small business tax discount will be increased over 10 years from the current 5% to 16%, first increasing to 8% on 1 July 2016. The current cap of $1,000 per individual for each income year will be retained. a number of technical adjustments to the law to improve its operation and provide increased certainty for taxpayers. There are a number of changes to the taxation of small and private businesses that were announced in the 2016-17 Federal Budget. You should talk to your tax agent to see how these changes might affect your small business. As announced in the 2016-17 Federal Budget, the company tax rate will be progressively reduced to 25% over the next 10 years. Correspondingly, the annual aggregated turnover threshold that will allow companies to qualify for the lower rate will rise over the next 10 years. The company tax rate remains at 30% for all companies unless they qualify for the reduced rate up until 2023-24 when all companies qualify for the lower rate. The previous edition of TaxWise Business noted the Government’s National Innovation and Science Agenda (NISA) that was announced in December 2015. A number of tax-related measures were introduced as part of the NISA. In the 2016-17 Federal Budget, a couple of these measures have been expanded on. the investment amount for non-sophisticated investors will be limited to $50,000 or less per income year in order to receive a tax offset. As part of the Federal Budget announcement, the funding arrangements to attract more venture capital investment will be expanded to improve access to capital and make the regimes more user-friendly. The draft legislation contains a measure that will allow taxpayers the choice to either self-assess the effective life of certain intangible depreciating assets or use the statutory effective life. The current law only provides an effective life set by statute. The draft legislation contains a measure that will allow businesses that have changed their ownership to access past year tax losses if they satisfy a ‘similar business’ test. Under the current law, businesses that have changed ownership must satisfy the ‘same business’ test to access past year tax losses. The draft law for these measures was released in April. Though the intangible asset depreciation measure is intended to apply from 1 July 2016 and the losses measure is intended to start from 1 July 2015, as neither has been submitted before parliament and the Government is in caretaker mode due to the impending Federal election on 2 July, there is unlikely to be much progress on these measures at this stage. From 1 July 2017, GST will apply to all low value goods imported by consumers from overseas. Imported low value goods should be subject to the same GST treatment as low value goods purchased by consumers domestically. Overseas suppliers with an Australian turnover of $75,000 or more will be required to register for GST and collect and remit GST for low value goods supplied to Australian consumers. A ‘vendor registration’ model will be used for overseas suppliers to register for GST. These arrangements will be reviewed after two years to ensure they are operating as intended and to take account of any international developments. Treasury has released a discussion paper on the ‘double taxation’ of digital currencies under the GST law. This forms part of the Government’s Backing Australian FinTech statement. Currently where digital currency is used to purchase goods that are subject to GST, consumers are ‘double taxed’ because GST also applies to digital currency. This may be preventing the use of digital currencies. Treasury is looking for ways to remove the ‘double taxation’ of digital currency; that is so that someone who acquires digital currency to use to purchase other goods and services doesn’t pay GST both at the time they acquire the digital currency and again at the time they purchase goods and services that also have GST on them. Tobacco excise and excise-equivalent customs duties will be subject to four annual increases of 12.5% from 1 September 2017 to 2020. The wine equalisation tax (WET) rebate cap will be reduced to $350,000 on 1 July 2017 and to $290,000 on 1 July 2018. This is to address integrity concerns with the rebate and to tighten eligibility criteria. From 1 July 2017, the excise refund scheme will be extended to domestic distilleries and producers of low strength fermented beverages such as non-traditional cider. Some of these changes are specific to particular industries and others, like the GST changes, are much broader. Your tax adviser will be able to help you work out how these changes might impact on your particular business. The Tax and Superannuation Laws Amendment (2016 Measures No. 1) Act 2016 contains an amendment to the GST law to ensure non-residents are not unnecessarily drawn into Australia’s GST net. Starting from 1 October 2016, non-resident suppliers will be relieved of the obligation to account for GST on certain supplies, therefore reducing their compliance costs. The ATO has released draft LCG 2016/D1 GST and carrying on an enterprise in the indirect tax zone (Australia) to help those affected understand the operation of the new law and to help you decide if they need to register for GST. The guideline discusses a new test in the GST Act for when an entity is carrying on an enterprise in the Australian indirect tax zone. This has implications for business-to-business transactions and the obligation to account for GST may instead fall on the recipient. If you have overseas suppliers, it would be worth discussing with your tax adviser what may be the implications on your business from this change. The ATO has reminded tax practitioners that for tax periods starting on or after 1 July 2012, there is a four year time limit (‘period of review’) to amend or revise their clients’ activity statement assessments. The period of review begins the day a taxpayer’s activity statement is lodged. During this time, there is no limit to the number of amendments that can be made. However in most cases, once the period of review expires, further amendments can’t be made. If you use a tax agent to lodge your BAS, it is good to keep in mind the limitations on being able to amend your BAS, particularly if you discover something (eg an acquisition) you may have accidentally omitted from telling your agent about. The sooner you let your agent know, the sooner they can correct your BAS. The small business restructure rollover (SBR rollover), announced as part of the 2015-16 Federal Budget, allows small businesses to transfer active assets from one entity (the transferor) to one or more other entities (transferees), on or after 1 July 2016, without incurring an income tax liability. This rollover applies to the transfer of active assets that are CGT assets, trading stock, revenue assets or depreciating assets. a partner in a partnership that is a small business entity. there is no change to the ultimate economic ownership of the asset. Assets eligible for the rollover include active assets that are CGT assets, depreciating assets, trading stock or revenue assets transferred between entities as part of a genuine restructure of an ongoing business. The ATO has also issued Law Companion Guideline 2016/D2 which explains the consequences of applying the rollover for both the transferor and transferee and Law Companion Guideline 2016/D3 which explains the meaning of a ‘genuine restructure of an ongoing business’. If you are planning on restructuring your business, it is vital that you speak to your tax agent or adviser on the best way to do this, especially to make sure you correctly apply rollovers or other tax concessions that you may be eligible for. For more information on each of the above, visit the ATO website. The Government has made changes to the cents per kilometre method. From 1 July 2015, separate rates based on the size of the engine are no longer available. Taxpayers should now use a single rate of 66 cents per kilometre for all motor vehicles for the 2015-16 income year. The Commissioner of Taxation will determine the rate for future income years. This single rate of 66 cents per kilometre will also apply to certain expense payment fringe benefit calculations for the 2016 FBT year where an employer reimburses an employee’s car expenses on a cents per kilometre basis. transport to enable an employee employed in a remote area or employed overseas to have a holiday. The ATO acknowledges there has been uncertainty about the correct rate to apply for the 2016 FBT year. Therefore, the ATO will also accept 2016 FBT returns based on the 2014-15 rates (which are 64, 76 or 77 cents per kilometre depending on the engine capacity of the employee’s car). For future FBT years, which end on 31 March, employers should use the rate determined by the Commissioner for the income year that ends on the following 30 June. For example, for the FBT year ending 31 March 2017, employers should use the basic car rate determined by the Commissioner for the 2016-17 income year. For more information on how to work out how much you can claim, visit the ATO website. FBT returns are due on 25 June (if being lodged electronically through a tax agent), otherwise FBT returns were due on 21 May. If you have yet to do your FBT return and have car expenses to take into account, make sure you apply the right rate. 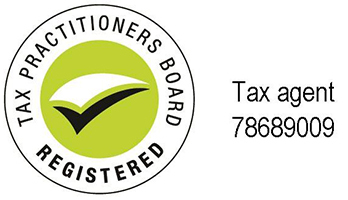 However, it is good to know that the ATO will accept returns based on the 2014-15 rates for the 2015-16 FBT year. TD 2016/1 FBT: for the purposes of section 28 of the Fringe Benefits Tax Assessment Act 1986 what are the indexation factors for valuing non remote housing for the fringe benefits tax year commencing on 1 April 2016? TD 2016/2 FBT: for the purposes of section 135C of the Fringe Benefits Tax Assessment Act 1986, what is the exemption threshold for the fringe benefits tax year commencing on 1 April 2016? TD 2016/3 FBT: what are the rates to be applied on a cents per kilometre basis for calculating the taxable value of a fringe benefit arising from the private use of a motor vehicle other than a car for the fringe benefits tax year commencing on 1 April 2016? TD 2016/4 FBT: reasonable amounts under section 31G of the Fringe Benefits Tax Assessment Act 1986 for food and drink expenses incurred by employees receiving a living-away-from-home allowance fringe benefit for the fringe benefits tax year commencing on 1 April 2016. TD 2016/5 FBT: what is the benchmark interest rate to be used for the fringe benefits tax year commencing on 1 April 2016? These changes apply to the 2016-17 FBT year so should not affect what goes into your 2015-16 FBT return. As noted in previous editions of TaxWise Business, small businesses can now provide their employees with multiple work-related devices without incurring FBT on providing those devices. This applies even if the devices have similar functions. Devices can include laptops, tablets, mobile phones, calculators and GPS navigators. Items purchased prior to 1 April 2016, but supplied to the employee after this date are also eligible for the exemption. Multiple devices bought and given to the employee before 1 April 2016 are not eligible. In these cases, the exemption only applies to one item for that FBT year. SuperStream standardises how employers make super contributions on behalf of their employees. It involves employers sending all super payments and employee information electronically in a standard format. With the 30 June 2016 deadline rapidly approaching, the ATO is encouraging small businesses to make becoming SuperStream ready a priority. Employers should visit the ATO’s online employer checklist – a step-by-step guide on what you need to do. Employers can also contact an accountant, bookkeeper, payroll provider, super fund or clearing house for help. The ATO has released a free recorded webinar to help employers understand SuperStream and the steps they need to take to prepare. For more information on how to become SuperStream ready, visit the ATO website. The ATO has also answered a number of ‘frequently asked questions’ employers may have about SuperStream. The FAQs can be found on the ATO’s website. You may be relying on ‘myths’ when deciding whether your workers are employees or contractors. what the tax and super consequences are for each. To book a place at one of the sessions that is on later this year, visit the ATO’s website. Here is a link to the ATO employer/contractor interactive decision tool on the ATO website. The ATO is running an education campaign for employers in the bakery, supermarket, car retailing, and computer system design industries to help them meet their tax and super obligations in relation to employees and contractors. Businesses in these industries have been identified as having a higher risk of not meeting their business obligations in relation to employees and contractors. Information on superannuation (how much to pay and who to pay it to), PAYG and FBT for small businesses can be found on the ATO website. However, you should talk to your tax agent or adviser to work out exactly what your obligations are in relation to employees and contractors you have on staff and what implications there may be for your business if you don’t meet your obligations. As a small business owner, you would be familiar with how occasional cash flow issues can impact on your business and, in particular, your ability to meet the variety of tax obligations you have on time. The ATO has developed a payment arrangement calculator to help small businesses work out what payments will be affordable for their circumstances at these times. Your tax agent can then assist you to submit a payment plan request to the ATO. Your tax agent may also be able to help advise you on ways to better manage your tax obligations so you don’t run into these sorts of issues again. The Taking on an employee checklist, which will take you through the different requirements you need to consider when taking on an employee, such as pay rates, workers’ compensation and health and safety. Calculators and tools to help you get it right when it comes to your tax and super obligations. A free ATO app for quick access to tools and calculators, answers to frequently asked questions, key dates and reminders. Watch videos that cover tax and super information relevant to you. Topics include whether your worker is an employee or contractor, super, record keeping, franchising, managing ABNs, GST basics etc. If you run a pharmacy or chemist, you may be affected by changes to drug treatments included on the pharmaceutical benefits scheme (PBS). These changes, in particular the hepatitis C drug treatment, may cause these businesses to have unusually high GST credits. You have included the correct business industry code to describe your business. If you do have an unusually high GST refund, the ATO may contact you to confirm it. As the end of the financial year is fast approaching, the ATO is running some webinars in June and July to remind employers about their annual tax obligations, such as their ‘PAYG withholding annual report’. Don’t forget your tax agent is also there to help remind you of your annual tax obligations and to prepare and lodge your returns on time to make sure you satisfy all your compliance obligations.